Expand search to view more listings in and around Williamsville. 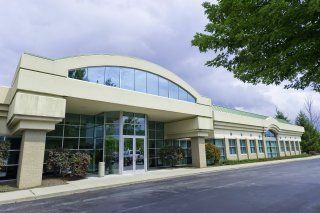 See more offices in and around Williamsville. To help you find the ideal location for your Williamsville office, the Offices.net site allows you to browse through all the offices and get the key information about each of them quickly and easily. We have a wide range of buildings and locations available, many with flexible lease requirements that can be adjusted to suit your needs. We offer businesses of all size the simplest, fastest and most affordable way to secure professional office space in Williamsville, New York. Many of our executive office suites, shared workspace and coworking spaces come with a wide range of facilities included, and flexible rental agreements that are tailored to suit you. We try our best to ensure that the whole process is as simple as possible for our clients. An extensive selection of the business centers are inclusive of a range of business services which include office administration, dedicated reception and on site IT support staff, high speed internet and WiFi services, lounge and meeting room services. In addition, a number of the office buildings provide free car parking, all-hours access, dining facilities and break out areas. We would love to help you find your perfect office space. All you need to do is to pick any of the offices for rent in Williamsville on this page. The office space listed on Offices.net is in a prestigious location, and is available for instant rental on flexible terms. Need help with your office space search? Simply get in touch using the number or form above and we'll be more than happy to recommend some options in and around Williamsville. All we need to know are your very basic essentials; the number of desks you need, your preferred locations and your ball-park budget.